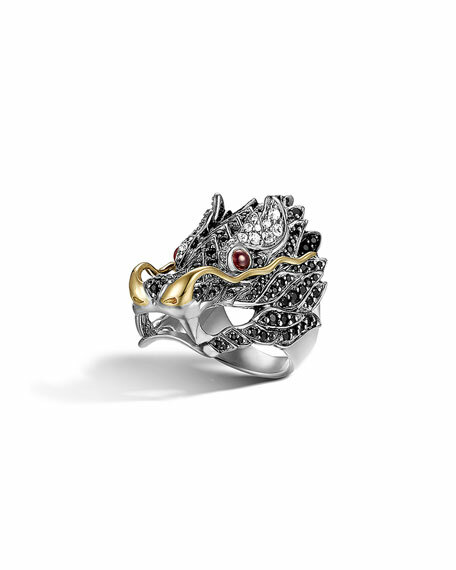 Naga means "dragon" in Balinese and is a powerful symbol. 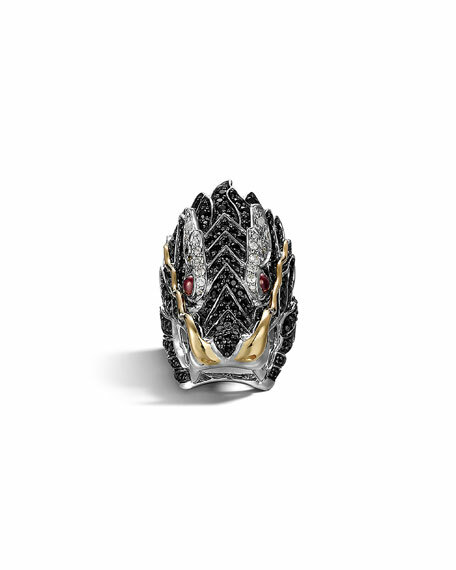 With intricate dragon detailing and smoldering stone details, who knows what will come your way when you wear this John Hardy ring? 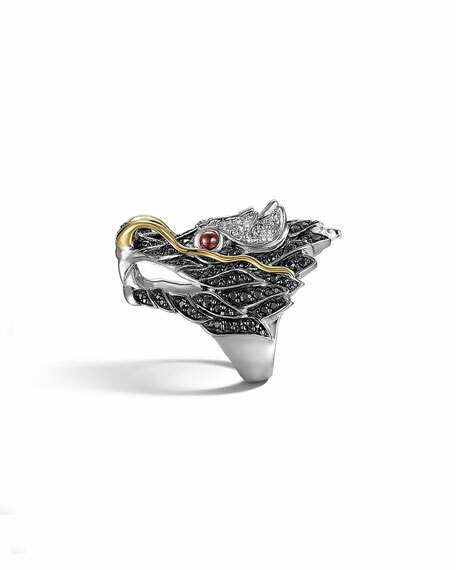 Pave black and white sapphires, 3.04 carat weight.